Justine Blazer is coming to Jefferson Texas! National recording artist Justine Blazer is coming to Jefferson for one night only. Not only does she sing and perform, she also plays the harmonica an acoustic guitar and the electric guitar. 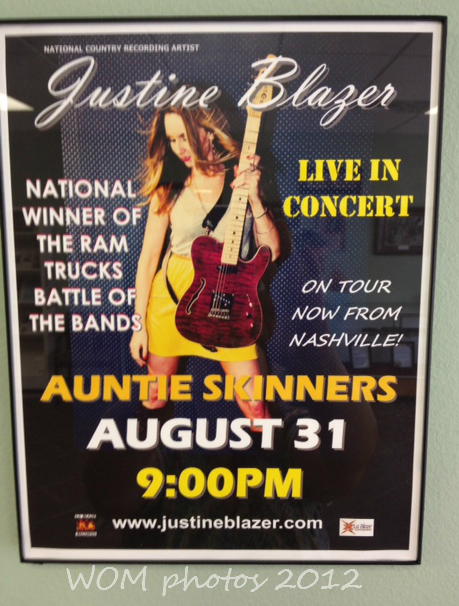 Justine Blazer is currently the Ram Trucks Battle of the Bands National Winner. Performing at Auntie Skinners in downtown Jefferson on August 31, 2012 at 9:00 PM. I love her style and sound so I found an awesome video to wet your appetite until the show. Enjoy! We still have a couple of hotel rooms left for that night so if you need one, please give us a call at 903-665-8185. This entry was posted in Special Events by Tammy D. Bookmark the permalink.